Disaster Management has always been an integral part of the devotional service performed by the volunteers of our Organisation. Last month, the 29th of August, Mumbai saw unprecedented rains. 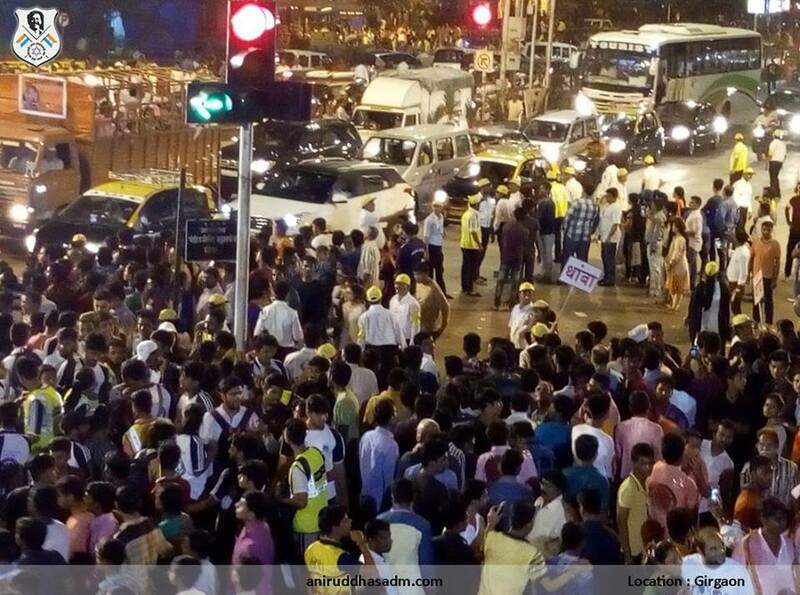 The impact was so severe that the deluge left Mumbai crippled and everything came to a halt. One could see people wading through knee-deep waters trying to reach their destination amidst traffic snarls. All forms of transport had been hit and people had kept their fingers crossed. Even under such trying circumstances, our DMVs marched ahead and were seen reaching out to people and helping them out of the dire situation. Kudos to our AADM team! 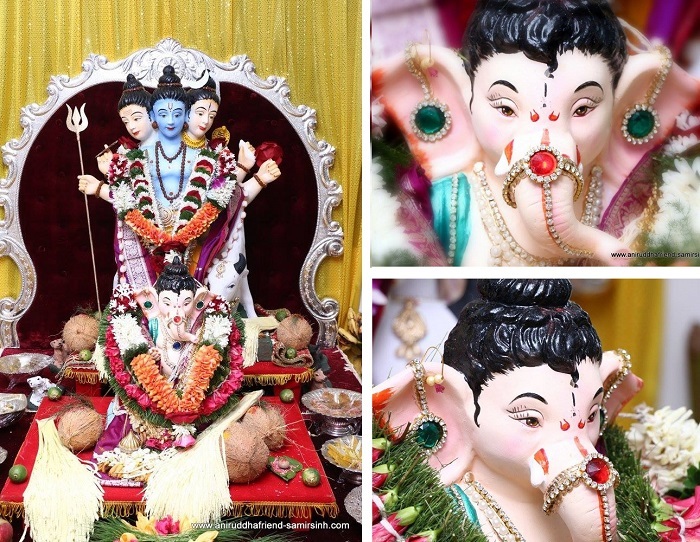 The month also marked the celebration of Ganesh Chaturthi, one of the most favoured festivals in India. Shraddhavans too await this festival as it is one such occasion when they get an opportunity to visit Sadguru Aniruddha Bapu’s residence to seek blessings of Lord Ganesh. It is often said that “Seeing is believing”. True, but what about the people who are not so fortunate and are visually disabled? This issue provides information about the yeoman service offered by Aniruddha’s Bank for the Blind which has been silently contributing towards the educational development of such visually challenged students. A person’s thirst for learning new things in life never ever gets quenched. Through the medium of our sense organs viz. the eyes, nose, ears and touch there is a constant intake of information and learning from the environment. If however, one important sense organ refuses its companionship, then the other sense organs fill up the void. In the case of a sightless person, the senses of touch and sound play all the more important role. Despite their lives being so difficult, they continue with their efforts, are fearless in surmounting obstacles and continue their efforts with a smile and with cheerfulness. As the name suggests, this is a bank but one that stands out from the rest. This is a knowledge bank that stores knowledge in the form of CDs for the benefit of the visually challenged. CDs based on academic curricular are prepared and given to visually challenged students of various blind schools and colleges. The curriculum of technical courses viz. lathe training as also curriculum related to Physiotherapy and Banking exam is recorded on CDs. So far, the material has been distributed in 22 states and 5 Union territories in India. In addition to these, cassettes, and later CDs, have been delivered to beneficiaries in Karachi, Pakistan. The CDs are prepared in different languages depending on the requirement. Volunteers, primarily ladies, record the CDs sitting at home, which gives them an ideal opportunity to balance home and work, and, in the process, get a sense of fulfilment. To date, this project has reached out to the needs of reputed charitable institutions for the visually challenged, such as ‘The Kamala Mehta School for the Blind’ and ‘The Victoria School for the Blind’. So far, more than 30,721 cassettes and 15,735 CDs have been distributed to various schools and institutions across India and abroad, free of cost. The curriculum has been recorded on CDs and cassettes in 11 Indian languages, not only for school going students but also for people pursuing post-graduate and vocational courses. From July 2004 till November 2016, 33,099 visually impaired students have benefitted by the service provided by Aniruddha’s Bank for the Blind. 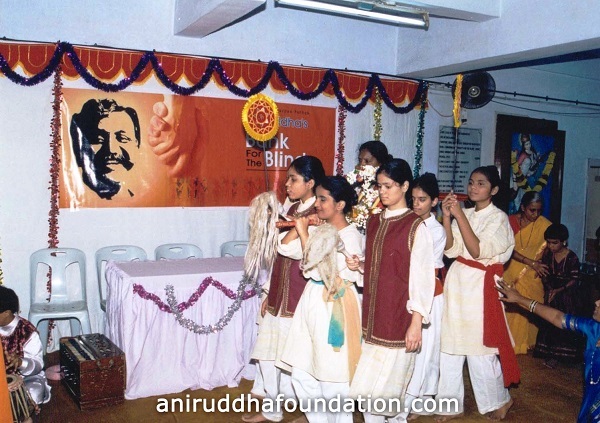 Shree Aniruddha Upasana Foundation, through its 800 odd centres and thousands of volunteers, in coordination with Shree Aniruddha Aadesh Pathak and Aniruddha Samarpan Pathak are striving to achieve the ultimate objective of Samartha Bharat – a strong and self-reliant India. As of 2017, there are approximately 3.75 crore individuals worldwide, who are blind. In India, the number of blind people is about 1.5 crore. The number of blind students amongst this is close to 30 lakhs in India. It is a daunting task for these students to educate themselves. ‘Shree Aniruddha Upasana Foundation’ has always been in the forefront to alleviate the weaker sections of the society and empower them. “The entire Universe is My Own, And I Will Fill Its Every Nook And Corner With Happiness”, with this goal, Sadguru Aniruddha Bapu has brought about a ray of light to these people and has transformed their darkness into light. At AADM Office, Dadar from 31st July 2017 to 6th August 2017. At Mahad Upasana Kendra, Mahad, Raigad from 14th August 2017 to 20th August 2017. At Modern High School, Yamunanagar, Nigdi from 14th August 2017 to 20th August 2017. At Nageshwar Mandir, Shirpur, Dhule. 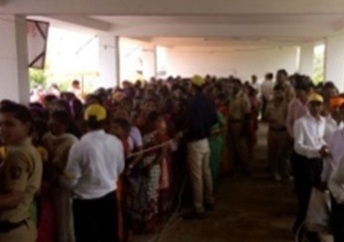 A total of 313 DMVs from Shirpur Balaji, Shirpur Colony, Manjrod, Holnathe, Tonde, Chopda, Kajgaon and Thalner Upasana Kendras participated in the crowd management seva. At Shree Kshetra Nirzaneshwar Mandir, Kokangaon, Sangamner, Ahmednagar on 07.08.2017 (3rd Shravni Somvar), a total of 53 DMVs from Rahata, Sangamner, Nilwande, Shrirampur, Akole, Sangmner City, Kopargaon & Sanjivani Upasana Kendras participated in crowd management Seva. The DMVs of Aniruddha’s Academy of Disaster Management had a major role to play on the final day of Ganapati immersion. 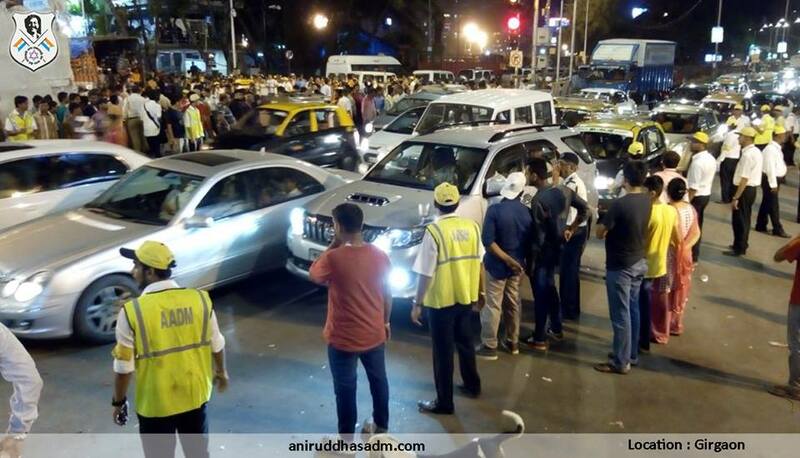 On the request of the Police authorities, AADM provided its able support to them along with the civic authorities at 51 locations in and around Mumbai. The Police authorities praised the DMVs liberally and deservedly for the selfless and extensive support extend to them. 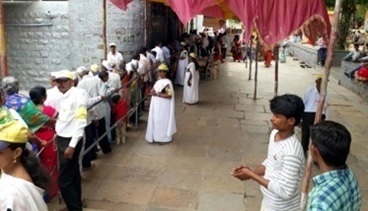 Devotees thronged to seek the darshan of Lord Ganesh on all the three days from 25th August to 27th August. This is one occasion when devotees also get an opportunity to visit the residence of their Sadguru. 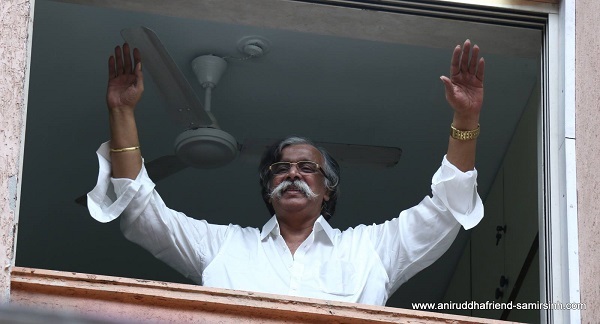 Many devotees even had the good fortune of seeing Sadguru Aniruddha Bapu during their visit. Their joy knew no bounds when they saw Sadguru Bapu waving and blessing them. Each one of them cherished this blissful moment which would be etched in their memories forever.